Happiness… Everyone seems to be searching for that special someone who will usher feelings of happiness into his or her life. Celebrities and famous athletes often make headlines, bouncing in and out of relationships, marriages, and even gender identities. With each partner or lifestyle change, these hunters of happiness claim to have found their heart’s greatest desire. The cameras flash and everyone lives happily ever after, or at least until those good feelings fade and another someone comes along. Hannah, too, had longed for happiness. For many years she had been unable to conceive a child. She thought that if only she had a son, she would find lasting contentment. In desperation, she prayed fervently to the Lord to open her barren womb. The Lord heard her prayers and in his time, remembered her and blessed her with a son. But notice in the reading, that the birth of Samuel does not prompt Hannah’s song of thanksgiving. What finally gives Hannah the happiness for which she has yearned is dedicating her son to a lifetime of service to the Lord. Only in giving to God does she discover that he is the only one in whom true happiness is found. 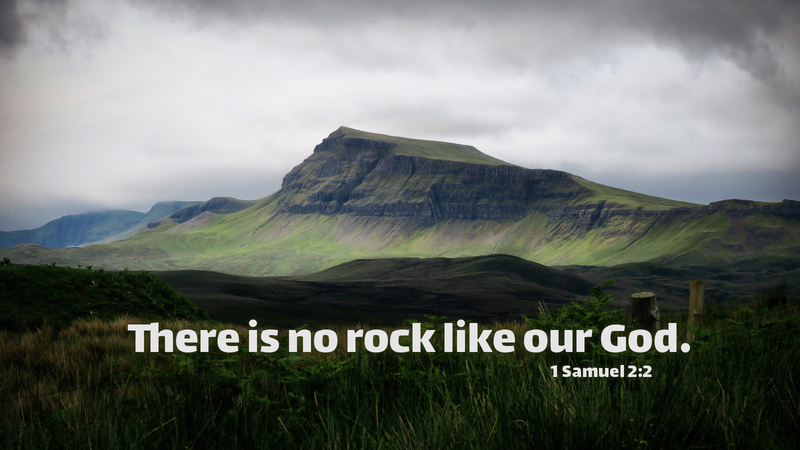 Prayer: Compassionate God, may our hearts ever exult in you, our rock and our redeemer. Amen. Today’s devotion was written by Paulette McHugh, NALC Pastor.